New England Patriots quarterback Tom Brady has emerged as the male fitness icon of the decade. Brady is now seen as the greatest NFL player of all time. He has won 6 Super Bowls in his career and three of them have come after turning 39. Unlike The Rock, who is so bulky he may as well have been created by CGI, Brady was an unheralded quarterback prospect, drafted in the sixth round. A look at him running the 40m dash at the combine in 2001 is enough to inspire anyone who doubts their own abilities to make serious gains with the right diet and mental approach. Brady credits much of his longevity to his diet, which was developed in conjunction with his trainer Alex Guerrero. The TB12 Method continues to generate interest as Brady continues to win rings, and in 2017 he published a book that explains how punters can achieve the Brady bod. But before you take the plunge on the TB12 approach, it's worth having a look at all the things you won't be able to eat in pursuit of peak Brady. Now that is a very long list. 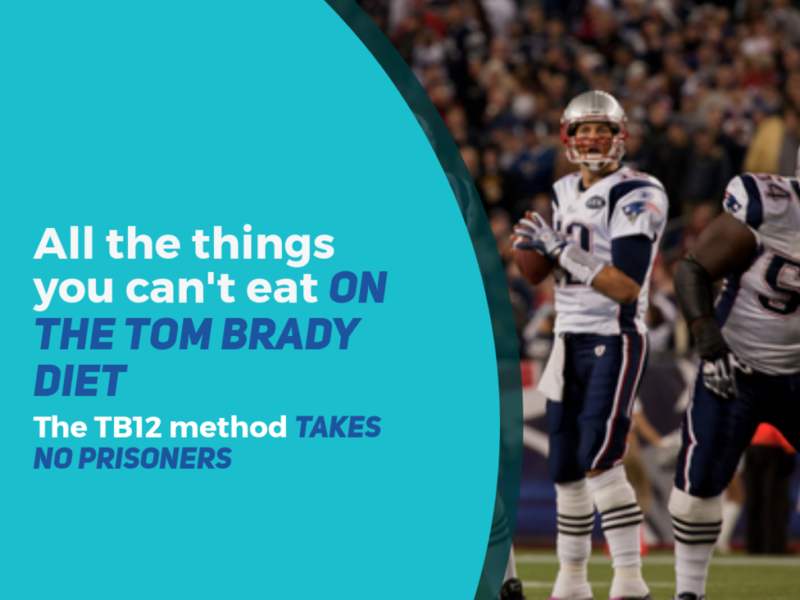 Brady and his nutrition team have discovered that the quarterback reaches peak performance when he's not eating inflammatory and acidic foods, which explains the anti-nightshade and anti-tomato focus here. But you also see staples of many diets - coffee, caffeine, alcohol, gluten just to start - on the Brady banned list. Across the web, you'll find a lot of people who've tried out the Brady diet to negligible effect, as well people who bring a healthy dose of scepticism to the diet plan that Brady presents. The TB12 Method has clearly worked for one of the world's great sportsmen. But before deciding to take on his diet, it's worth taking stock of all of the things you'll have to sacrifice in your diet. Brady himself admits that the vast majority of humanity won't be able to live so closely to this diet plan and urges people to approach it in a 'balanced' way. But before you start, be aware of what you're giving up.